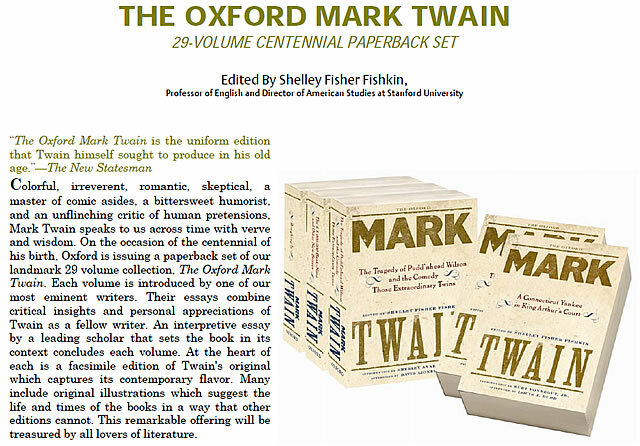 I conceived of the plan for the Oxford Mark Twain: facsimiles of the first American editions with introductions by contemporary writers, afterwords by Twain scholars, essays on the illustrations, and a note on the text in each book. Not since Helen Rosen Woodward developed Harper's 1916 advertising campaign for a uniform edition of Mark Twain's works has a publishing effort owed so much to the creativity of women. Shelley Fisher Fishkin, editor of the Oxford Mark Twain edition, recalls that in the spring of 1992 Laura Brown, vice president of Oxford University Press, invited her to propose a plan for a uniform edition of Mark Twain's works. Brown told Fishkin that if Oxford liked her proposal, she would be working with senior editor Elizabeth Maguire (b. 1958 - d. 2006). Fishkin, who had obtained her Ph.D. from Yale, was a professor at the University of Texas and had already published her first book From Fact to Fiction: Journalism and Imaginative Writing in America (1985). In addition, her research on Mark Twain was gaining international recognition. At the time Fishkin was recruited to spearhead the Oxford Mark Twain edition, Fishkin was quickly becoming one of America's leading authorities in Mark Twain studies. Her second book Was Huck Black? Mark Twain and African-American Voices would be released by Oxford University Press in 1993. 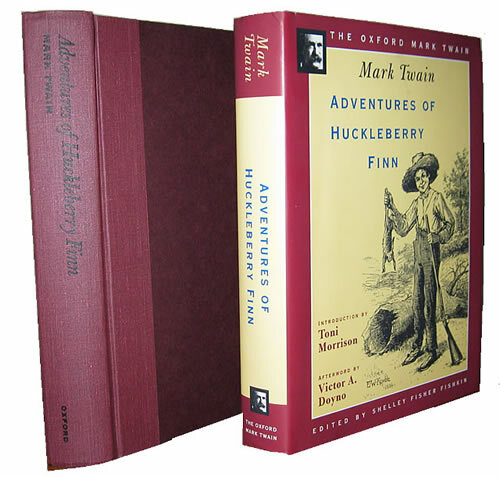 Fishkin wanted to publish an edition of Mark Twain's works that would complement the authoritative edition that was and is still ongoing from the Mark Twain Project at the University of California at Berkeley. I had long been intrigued by the first American editions of Twain's works, in part because Twain himself had played a role in their publication, and also because these were the volumes to which the earliest reviewers were responding, and on which Twain's early reputation was built. I was also fascinated by the illustrations, and by how relatively unfamiliar so many of them were to modern readers (Fishkin, 2012). It had been over thirty years since the Modern Language Association in 1963 had expressed their concerns that the future studies of American literature was at risk because access to original manuscripts was frequently restricted and rare editions published during an author's lifetime were extremely difficult to locate. 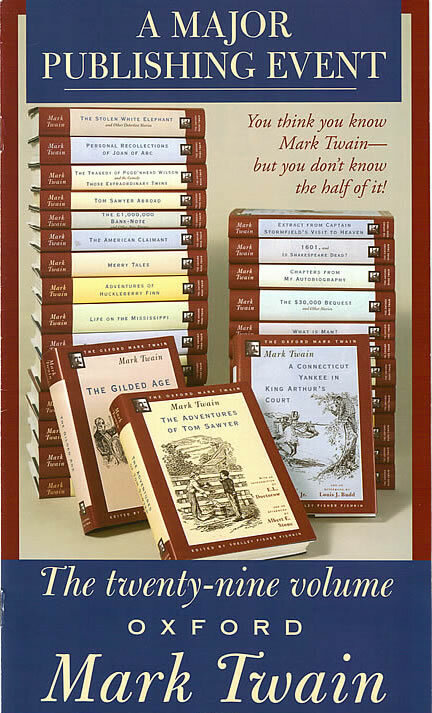 By 1992, only seven titles of Mark Twain's works featuring authoritative texts and original illustrations had been issued by the Mark Twain Project. First editions of many works were rare and in poor condition when they could be found. Fishkin had first hand experience as a Mark Twain scholar and researcher who had encountered difficulties finding scarce first editions. She had been forced to scour used books sales seeking out discarded and damaged volumes and treasuring them when they could be found. Fishkin conceived of a plan for Oxford to publish facsimiles of the first editions of Mark Twain's works. She recalled reading Norman Mailer's "Huckleberry Finn, Alive at 100" which appeared in the New York Times book review section on December 9, 1984. [Mailer] discussed the book as if it had just appeared on the scene. It was beautifully anachronistic but truly inspired. It gave me a taste of what could happen if contemporary writers engaged Twain freshly in terms that mattered to them. I also decided that it would be important to have Twain scholars contextualize the works in the set, giving a sense of their publication history, the response to them when they appeared and over time, and provide suggestions for further reading. And, finally, I recognized that essays on the illustrations would be extremely important to include, as well as brief notes on the physical text used for the facsimile (Fishkin, 2012). I immersed myself in more books by contemporary writers than I had ever read, seeking out resonances and points of connection with Twain. I saw this aspect of the project as creating a new body of commentary on Twain by contemporary writers that would dramatize his continuing impact on literature and the vitality of the ongoing cultural conversation in which his works played and continued to play a central role. I made a special effort to go beyond "the usual suspects," engaging writers who had never written about Twain before, but whose work resonated with his in some key ways (Fishkin, 2012). Oxford originally planned an edition of 25 volumes. However, due to Fishkin's enthusiasm for the effort, the project grew to include 29 volumes. According to Fishkin, "I do know that when we hit 29 volumes Oxford said, in effect, this is it: no more" (Fishkin, 2013). For the next several years Fishkin devoted herself to the enormously time-consuming details and logistics of putting together the Oxford Mark Twain including locating first edition copies suitable for photographic reproduction. The Mark Twain House museum and research center in Hartford, Connecticut provided many of the first American editions that were used. Oxford also contracted with Fishkin to write a book on Twain's place in American culture that could be released at about the same time as the uniform edition. That book would be titled Lighting Out for the Territory: Reflections on Mark Twain and American Culture and was issued in 1997. In order to fulfill her commitments to Oxford, Fishkin took a leave without pay from teaching at the University of Texas for one semester. The Oxford Mark Twain was released in the fall of 1996. Oxford's introductory price for the trade set with maroon cloth spines and boards binding and dust jackets was $295; a special library edition in total maroon cloth binding was priced at $395. The 29 books which make up the set feature no volume numbers. Dust jackets are not identical and feature different colors and illustrations, most from the original texts, on the front cover. Oxford also offered a limited number of autographed sets with volumes signed by the contributors. This special autographed edition, limited to 300 sets, was offered at $1,500. Oxford recognized the fact that a wider customer base could likely be found if buyers were allowed to purchase one or two titles of the edition rather than an entire set. Individual volumes were offered in prices ranging from $15 to $25 each. Most of the book titles in the OMT have never been available before in facsimile editions (including, amazingly, the lavishly illustrated A Tramp Abroad and Life on the Mississippi); some of these books have not been available in any edition for over a century (e.g., The Celebrated Jumping Frog of Calaveras County and Other Sketches). Collectors should also be aware that the first editions of story and essay collections (such as Sketches New and Old) that share titles with later Harper uniform editions, do not have exactly the same contents as the later editions. In some cases the differences are substantial. The twenty-nine-volume Oxford Mark Twain is a major literary event. In addition to gathering together a superb collection of Twain's works, editor Shelley Fisher Fishkin has commissioned some of our most eminent living writers to introduce each volume with their personal insights and experiences of Twain. ... In effect, the set gathers together a literary who's who, all of whom reflect on what Mark Twain's work means to them as writers and scholars, and what he means to our literary history and to our culture as a whole. Taken together, these introductions and afterwords provide a major reevaluation of Twain, allowing readers to see his work in fresh ways. In November 2009 Oxford released a paperback edition of the set at an introductory price of $199. The Oxford Mark Twain set features no volume numbers. The 29 volumes are listed below in the approximate chronological order they were originally published. The Celebrated Jumping Frog of Calaveras County and Other Sketches. This volume is a photographic facsimile of the 1867 first edition, second printing. The first edition volume is extremely rare -- only 4,076 copies were printed before Mark Twain destroyed the printing plates. The introduction was written by Roy Blount, Jr. (b. 1941) who is best known as a humor writer. At the time Blount wrote the introduction, he was a contributing editor to Atlantic Monthly and an author of a dozen books. The afterword was written by Richard E. Bucci who had worked as an editor at the Mark Twain Project for fourteen years. The Innocents Abroad. This volume is a photographic facsimile of the 1869 first American edition, third issue. The introduction was written by Mordecai Richler (b. 1931 - d. 2001), a Canadian novelist with a reputation for acerbic social commentary. The afterword was written by David E. E. Sloane (b. 1943), professor of English at the University of New Haven in Connecticut. Sloane was a past president of the Mark Twain Circle as well as the American Humor Studies Association. Sloane's previous publications included Mark Twain as a Literary Comedian (1979), Adventures of Huckleberry Finn: American Comic Vision (1987), Mark Twain's Humor: Critical Essays (1993). Roughing It. This volume is a photographic facsimile of an 1872 American edition, no earlier than the fourth printing from the first edition plates and bound by the end of December 1872. The introduction was written by George Plimpton (b. 1927 - d. 2003). Plimpton was a prolific writer, editor and television host. When he died in September 2003, his obituary in the New York Times described him as a "participatory journalist" and an aristocrat "whose exploits in editing and writing seesawed between belles lettres and the witty accounts he wrote of his various madcap attempts to slip into other people's high-profile careers." The afterword was written by Henry Brunie Wonham (b. 1960), an assistant professor at the University of Oregon and author of Mark Twain and the Art of the Tall Tale (1993). The Gilded Age. This volume is a photographic facsimile of an early 1873 American edition, although it is not the earliest printing. The text does retain the name of the character "Eschol" Sellers which was changed to "Beriah" Sellers in early 1874 in order to placate a man by the same name of Eschol Sellers. The introduction was written by Ward Just (b. 1935), a former reporter for Newsweek magazine and the Washington Post. Just was the author of ten novels at the time, many of them focusing on national politics. The afterword was written by Gregg Camfield (b. 1958), an assistant professor of English at the University of the Pacific in Stockton, California. Camfield's previous work included Sentimental Twain: Samuel Clemens in the Maze of Moral Philosophy. In 2003 Oxford published Camfield's The Oxford Companion to Mark Twain. Sketches New and Old. This volume is a photographic facsimile of an 1875 first American edition, second state. It does not feature the sketch "Hospital Days" which was mistakenly included in the earliest printings. The introduction was written by Lee Smith (b. 1944), a professor of English at North Carolina State University. Smith was the author of numerous books numerous books, including the novel Oral History (1983), and the recipient of a number of literary awards. The afterword was written by Sherwood Preston Cummings (b. 1916 - d. 2005). Cummings was professor emeritus of English at California State University at Fullerton. His previous publications included Mark Twain and Science: Adventures of a Mind (1988). The Adventures of Tom Sawyer. This volume is a photographic facsimile of an 1876 first American edition, first printing. The introduction was written by E. L. (Edgar Lawrence) Doctorow who was professor of English and American Letters at New York University and the award winning author of ten books including Welcome to Hard Times (1960), Ragtime (1975), and Billy Bathgate (1989). The afterword was written by Albert E. Stone (b. 1924 - d. 2012), professor emeritus of American Studies and English at the University of Iowa. Stone was the author of The Innocent Eye: Childhood in Mark Twain's Imagination (1961). A Tramp Abroad. This volume is a photographic facsimile of an 1880 first American edition, although not the earliest printing. The caption on the frontispiece reads "Titian's Moses" rather than the earliest version of "Moses." The introduction was written by Russell Banks (b. 1940) who was the author of twelve works of fiction at the time and a professor at Princeton University. Banks was married to the great granddaughter of Reverend Joseph Twichell, Mark Twain's close friend and traveling companion. Twichell figures prominently in A Tramp Abroad as the character Harris. The afterword was written by James S. Leonard (b. 1947), professor of English at The Citadel in Charleston, South Carolina. Leonard co-edited Satire or Evasion? Black Perspectives on Huckleberry Finn (1992) and also served as editor of the Mark Twain Circular. The Prince and the Pauper. This volume is a photographic facsimile of an 1882 first American edition, second state. It contains three corrections of errors that occurred in the first printing. The introduction to this book, in which an etiquette manual plays a key role, was written by author and journalist Judith Martin, also known for her syndicated newspaper column Miss Manners. The afterword was written by Everett Harvey Emerson (b. 1925 - d. 2002) who had taught most of his professional career at the University of Massachusetts at Amherst. Emerson, a co-founder of the Mark Twain Circle of America, was the author of The Authentic Mark Twain: A Literary Biography of Samuel L. Clemens (1984). Life on the Mississippi. This volume is a photographic facsimile of an 1883 first American edition, second state -- with one exception. One illustration used as a tailpiece showing Mark Twain's head in flames has been reinstated from an earlier impression. The illustration had been removed from later printings when Mark Twain's wife Livy Clemens objected to it. This volume also features a revised caption for an illustration of "The St. Charles Hotel" which earliest states of the book captioned "The St. Louis Hotel." With these features, this Oxford edition represents a printing not previously available. The introduction was written by Willie Morris (b. 1934 - d. 1999), a former editor, author, and Mississippi native. When Morris died unexpectedly in 1999, obituaries praised him as a "pure product of southern soil" and a writer whose "work reveled in the endless contradictions of the South and the region's ghostlike hold on its native sons and daughters." The afterword was written by Laurence Howe (b. 1952), an assistant professor at Roosevelt University in Chicago. Howe's own book Mark Twain and the Novel : The Double-Cross of Authority would be released in 1998. Adventures of Huckleberry Finn. This volume is a photographic facsimile of an 1885 first American edition, first impression. The introduction was written by Toni Morrison (b. 1931). Morrison was an editor, novelist and professor at Princeton University. She had been awarded a Pulitzer Prize in 1988 for her novel Beloved about an African American slave. In 1993 Morrison was awarded the Nobel Prize for Literature. The afterword was written by Victor A. Doyno (b. 1937), professor at State University of New York at Buffalo. Doyno's previous publications included editing Mark Twain: Selected Writings of an American Skeptic (1983) and Writing "Huck Finn": Mark Twain's Creative Process (1992). Doyno also served as president of the Mark Twain Circle of America from 1994-96. A Connecticut Yankee in King Arthur's Court. This volume is a photographic facsimile of an 1889 first American edition, early impression, but perhaps not the earliest. The introduction was written by Kurt Vonnegut, Jr. (b. 1922 - d. 2007), a prolific American writer whose genres included satire, dark humor and science fiction. Vonnegut, a great admirer of Mark Twain, used humor in his own writing to tackle the same questions of basic human existence that Mark Twain often addressed. According to Fishkin, Vonnegut was so delighted to contribute to the Oxford Mark Twain edition that he faxed in his very short introduction to the volume prior to receiving the recommended guidelines for style and length and then declined to expand on it. "He had managed to do in 5 pages all that we'd asked him to do in 20" (Fishkin, 2012). The afterword was written by Louis J. Budd (b. 1921 - d. 2010), a founding president of the Mark Twain Circle of America. Budd was Professor Emeritus at Duke University and was the author of Mark Twain: Social Philosopher (1962) and Our Mark Twain: The Making of His Public Personality (1983). In addition, Budd was editor of two volumes of Mark Twain: Collected Tales, Sketches, Speeches, and Essays (1992). Merry Tales. This volume is a photographic facsimile of the 1892 first American edition. The introduction was written by Anne Bernays (b. 1930), an author, editor, and writing teacher who had also co-authored one book with her husband Justin Kaplan. The afterword was written by Forrest G. Robinson (b. 1940), professor at the University of California at Santa Cruz. Robinson's previous publications included In Bad Faith: The Dynamics of Deception in Mark Twain's America (1986) and The Cambridge Companion to Mark Twain (1995). The American Claimant. This volume is a photographic facsimile of the 1892 first American edition. The introduction was written by Bobbie Ann Mason (b. 1940), an award-winning novelist and short story writer from Kentucky. The afterword was written by Peter B. Messent (b. 1946) of the University of Nottingham in England. Messent's own book on Mark Twain, titled Mark Twain, was published in 1997. Messent would go on to publish Short Works of Mark Twain: A Critical Study (2001) and Mark Twain and Male Friendship (2009). He also co-edited with Steve Courtney The Civil War letters of Joseph Hopkins Twichell: A Chaplain's Story (2006). The £1,000,000 Bank-Note and Other Stories. This volume is a photographic facsimile of the 1893 first American edition. The introduction was written by Malcolm Bradbury (b. 1932 - d. 2000), professor emeritus of American Studies at the University of East Anglia in Norwich, England. Bradbury was a prolific writer, novelist and humorist whose most frequent recurring theme was that of the slightly naive and liberal innocent protagonist. The afterword was written by James D. Wilson (b. 1946 - d. 1996), an English professor at the University of Southwestern Louisiana. Wilson's previous publications included A Reader's Guide to the Short Stories of Mark Twain (1987). He also served as co-editor of The Mark Twain Encyclopedia (1993). Tom Sawyer Abroad. This volume is a photographic facsimile of the 1894 first American edition. The introduction was written by Nat Hentoff (b. 1925), a prolific author as well as newspaper columnist for the Washington Post and Village Voice. The afterword was written by M. (Milton) Thomas Inge (b. 1936), professor at Randolph-Macon College in Ashland, Virginia and authority on popular culture and comic art history. Inge's previous publications included his work as editor on Huck Finn Among the Critics (1985). The Tragedy of Pudd'nhead Wilson and the Comedy Those Extraordinary Twins. This volume is a photographic facsimile of the 1894 first American edition, first state. The introduction was written by Sherley Anne Williams (b. 1944 - d. 1999), author, poet, playwright and professor of literature and writing at the University of California, San Diego. Williams's novel Dessa Rose (1986), the story of an enslaved black woman and a white Southern belle, was her most widely acclaimed novel. The afterword was written by David Lionel Smith (b. 1954), professor at Williams College in Williamstown, Massachusetts. Smith was co-editor of The Encyclopedia of African-American Culture and History (1995). Personal Recollections of Joan of Arc. This volume is a photographic facsimile of the 1896 first American edition, first state. The introduction was written by author Justin Kaplan (b. 1925), winner of the 1966 Pulitzer Prize for Mr. Clemens and Mark Twain. The afterword was written by Susan Kumin Harris (b. 1945) who was professor of American literature at Pennsylvania State University in State College. Harris's previous publications included Mark Twain's Escape from Time (1982); annotations for the Library of America volume Mark Twain, Historical Romances: The Prince and the Pauper, A Connecticut Yankee, Joan of Arc (1994); and The Courtship of Olivia Langdon and Mark Twain (1996). The Stolen White Elephant and Other Detective Stories. The 1996 hardcover volume is a composite of two books and one novella never previously bound together. It contains a photographic facsimile of the complete 1882 first American edition of The Stolen White Elephant, Etc. According to editor Fishkin, a miscommunication with the printers of the volume resulted in that complete book being photographed rather than only the title story "The Stolen White Elephant." The second section of this volume is the novella Tom Sawyer, Detective, which is a photographic facsimile from the 1896 first American edition of Tom Sawyer Abroad; Tom Sawyer, Detective, and Other Stories. The third section is a photographic facsimile of the 1902 first American edition of A Double Barrelled Detective Story. The original intent of this volume was to bind together only the three detective stories. By including the entire contents of the 1882 The Stolen White Elephant, Etc. by mistake, some material outside of the detective story genre is included in the 1996 hardcover edition. When this volume was released in the 2009 softcover edition, only the title story "The Stolen White Elephant" from The Stolen White Elephant, Etc. was included -- as originally intended. The introduction for the volume was written by Walter Mosley (b. 1952), an American novelist widely recognized for his detective fiction and who was president of the Mystery Writers of America organization. The afterword was written by Lillian S. Robinson (b. 1941 - d. 2006), a feminist scholar and activist who was professor of English at East Carolina University in Greenville, North Carolina. Robinson had taught graduate and undergraduate courses in detective fiction. Robinson's own detective novel Murder Most Puzzling was published in 1998. How to Tell a Story and Other Essays. This volume is a photographic facsimile of the 1897 first American edition. The introduction was written by David Henry Bradley, Jr. (b. 1950), a novelist, essayist and teacher whose novel The Chaneysville Incident (1981) won the Pen/Faulkner Award and an Academy Award from the American Academy of Arts and Letters. The afterword was written by Pascal Covici, Jr. (b. 1930 - d. 1997). Covici was a professor at Southern Methodist University in Dallas, Texas and had served as president of the Mark Twain Circle of America. His previous publications included Mark Twain's Humor: The Image of a World (1962). Following the Equator and Anti-imperialist Essays. This volume combines two books and one 16-page tract that were never previously bound together on one volume. The text of Following the Equator is a photographic facsimile of the 1897 first American edition. The second item in this volume is To The Person Sitting in Darkness and is a photographic facsimile of the 1901 edition 16-page tract which was itself a reprint of the serial text from the February 1901 North American Review magazine article. The third item in this volume is King Leopold's Soliloquy: a Defense of His Congo Rule and is a photographic facsimile of the 1905 first American edition. The introduction was written by Gore Vidal (b. 1925 - d. 2012), an American writer and outspoken critic of American foreign policy known for his often provocative essays, novels, screenplays, and Broadway plays. The afterword was written by Fred Kaplan (b. 1937), noted biographer and professor at Queens College and the Graduate Center of the City University of New York. The Man That Corrupted Hadleyburg and Other Stories and Essays. This volume is a photographic facsimile of the first American edition, second state. The introduction was written by Cynthia Ozick (b. 1928), an award winning short story writer, novelist and essayist. The afterword was written by Jeffrey Rubin-Dorsky (b. 1947), a professor at the University of Colorado. Rubin-Dorsky's previous publications included People of the Book: Thirty Scholars Reflect on Their Jewish Identity (1996), which he co-edited with Shelley Fisher Fishkin. The Diaries of Adam and Eve. This volume binds together two books previously published separately. No book by the title The Diaries of Adam and Eve was ever published during Mark Twain's lifetime. The first segment of this volume is a photographic facsimile of the 1904 first American edition of Extracts from Adam's Diary, Translated from the Original MS. The second segment of this volume is a photographic facsimile of the 1906 first American edition of Eve's Diary, Translated from the Original MS. The introduction was written by Ursula K. Le Guin (b. 1929), an award-winning novelist and short story writer of fantasy and science fiction. The afterword was written by Laura Skandera-Trombley (b. 1960) who was an associate professor at State University of New York at Potsdam. Skandera-Trombley's previous publications included Mark Twain in the Company of Women (1994). What Is Man? This volume is a photographic facsimile of a copy of the 1906 first American edition, "second issue." The introduction was written by author and playwright Charles R. Johnson (b. 1948) who was a professor at the University of Washington in Seattle. Johnson enjoyed the reputation of gifted philosopher and provocative writer. The afterword was written by Linda Wagner-Martin (b. 1936) who was professor at the University of North Carolina at Chapel Hill. 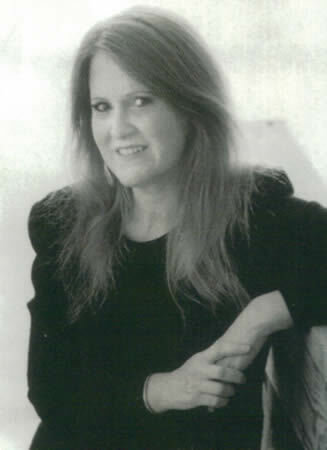 Wagner-Martin was the author of recent works on John Steinbeck, Gertrude Stein and William Faulkner as well as co-editor of The Oxford Companion to Women's Writing in the United States (1995). The $30,000 Bequest and Other Stories. This volume is a photographic facsimile of the 1906 first American edition, second state. The introduction was written by Frederick Matthew Busch (b. 1941 - d. 2006), prolific, award-winning novelist and short story writer and professor at Colgate University. The afterword was written by Judith Yaross Lee (b. 1949), author and professor at Ohio University. Lee was a founding member of the Mark Twain Circle and a contributor to The Mark Twain Encyclopedia (1993). Christian Science, with Notes Containing Corrections to Date. This volume is a photographic facsimile of the 1907 first American edition. The introduction was written by Pulitzer Prize winning author, journalist and historian Garry Wills (b. 1934), who was an adjunct professor at Northwestern University in Evanston, Illinois. The afterword was written by Hamlin Hill (b. 1931 - d. 2002), professor at Texas A&M University. Hill's previous publications on Mark Twain included Mark Twain and Elisha Bliss (1964), Mark Twain's Letters to His Publishers (ed., 1967) and Mark Twain: God's Fool (1973). Chapters from My Autobiography. This volume is a photographic facsimile of the serial printing of 25 installments that appeared in the North American Review between September 1906 and December 1907. These installments were never published in book format during Mark Twain's lifetime. The introduction was written by Pulitzer Prize winning playwright Arthur Miller (b. 1915 - d. 2005). The afterword was written by Michael J. Kiskis (b. 1954 - d. 2011), associate professor at Elmira College. Kiskis served on the advisory board of the Center for Mark Twain Studies at Quarry Farm and had previously edited an edition of this same collection titled Mark Twain's Own Autobiography: The Chapters from the North American Review (1990). Sometimes authors I had invited to write introductions helped shape the scope of the series itself. I forget which volume I had invited Leslie Fiedler to write on, but I'll never forget his response. He wrote that he had no interest whatsoever in writing about the volume I had asked him to engage, but he would be delighted to write about a text that he was sure we weren't including in the series because we didn't have the guts to: 1601. It was true that I hadn't planned to include 1601 -- but that was because, at the time, we were envisioning each text as a stand-alone book, with three exceptions (the volume that included anti-imperialist writings and Following the Equator, the volume that bound together several of Twain's texts involving detectives, and the volume that bound together Extracts from Adam's Diary and Eve's Diary). Fiedler's challenge intrigued me. It occurred to me that given the centrality of Shakespeare and Elizabethan England in both 1601 and another text we had not planned to include, Is Shakespeare Dead?, that I could possibly make a case for adding a volume with both texts. I explored this tentatively with Oxford -- but decided that it would work only if I could persuade Erica Jong to write the introduction, given her own intense interest as a writer in eros, in Elizabethan England and Shakespeare, in the writing process, and in language experiments. I was very pleased to be able to include both Jong's wonderful introduction and Fiedler's superb afterword in the set (Fishkin, 9 August 2012). Extract from Captain Stormfield's Visit to Heaven. This volume is a photographic facsimile of the 1909 first American edition. The introduction was written by award winning science fiction author Frederik Pohl (b. 1919). The afterword was written by James A. Miller (b. 1944) who was a professor at the University of South Carolina in Columbus and had previously served as a trustee of the Mark Twain Memorial in Hartford, Connecticut. Speeches. This volume is a photographic facsimile of the 1910 first American edition of Mark Twain's Speeches, with an Introduction by William Dean Howells. The introduction was written by celebrated actor Hal Holbrook (b. 1925), creator of the Tony-award-winning one-man show, "Mark Twain Tonight!" The afterword was written by David Barrow (b. 1955), who was assistant professor at Northern Illinois University in DeKalb. Barrow had previously contributed essays to The Mark Twain Encyclopedia (1993) as well as other scholarly journals. Fishkin, Shelley Fisher. Personal correspondence. 9 and 10 August 2012. "Kurt Vonnegut, Novelist Who Caught the Imagination of His Age, Is Dead at 84." New York Times, 12 April 2007. Mailer, Norman. "Huckleberry Finn, Alive at 100," New York Times Book Review, 9 December 1984. Severo, Richard. "George Plimpton, Urbane and Witty Writer, Dies at 76," New York Times, 26 September 2003. "Willie Morris, a Pure Produce of Southern Soil," USA Today, 4 August 1999. "Willie Morris, Writer on the Southern Experience, 64," San Diego Union Tribune, 6 August 1999.